Freemason Adolph giving the sign of the master of the second veil. Member of the Bavarian Illuminati and a Freemason. Over the few years of his service under the Illuminati Knigge had built up the member count somewhere between two and three thousand. 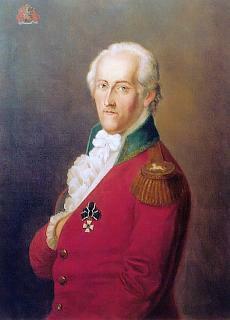 He leaves the order over disputes with Weishaupt, including suspicions that Weishaupt was a Jesuit.